This photograph of of the abandoned corn mills at Collooney, Co Sligo with the river Owenmore flows through the foreground. The mills date from the 1830s and were owned by Alexander Sim. 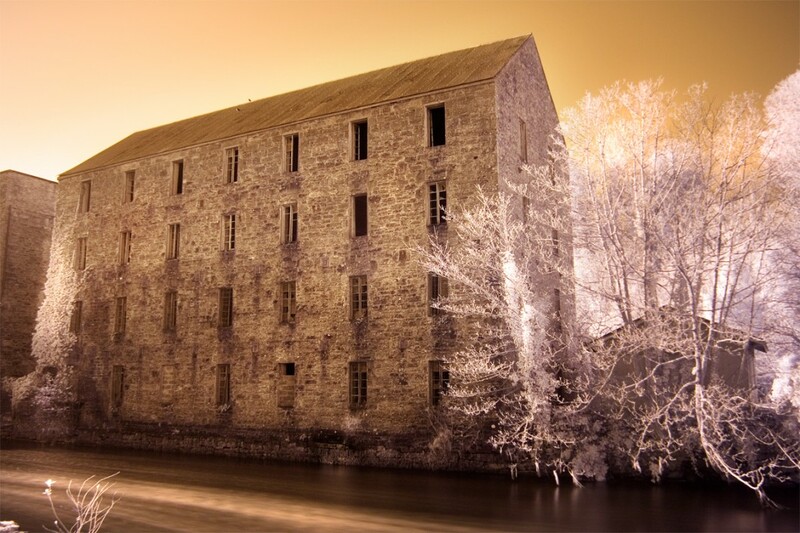 At this time there were over 200 corn mills in Co Sligo although this number halved by the turn of the century due to the introduction of large-scale production techniques. In 1870 Alexander Sim is recorded as a landlord with an address in Coolloney and owned 419 acres in valued at 525 pounds 7 shillings.